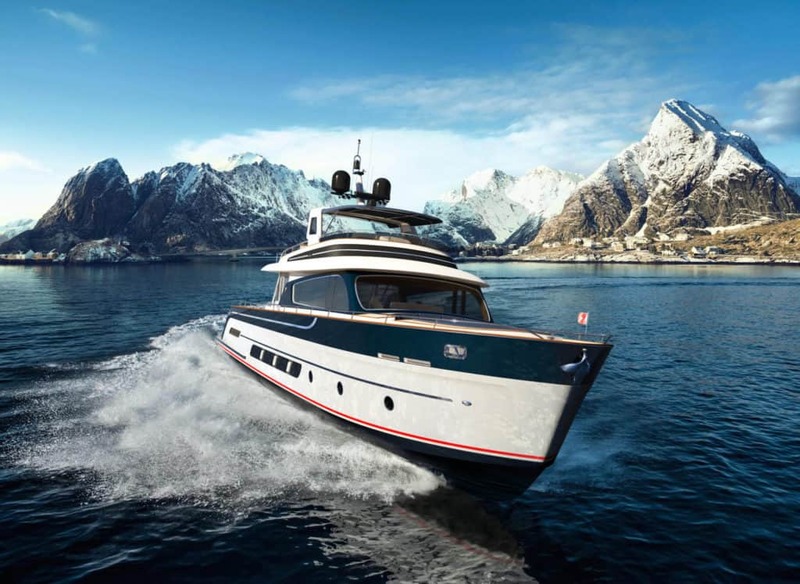 “The concept behind the Breedendam brand is so recognizably different from other brands that when I saw their first ’Motor Torpedo Boats inspired‘ small yachts I immediately fell in love with the brand and concept behind them”, says designer Guido de Groot. 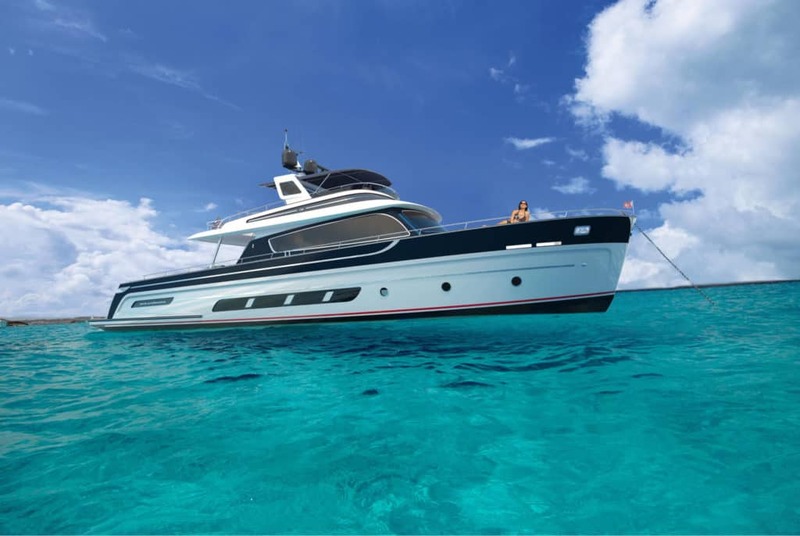 The Breedendam Eightzero takes things again a lot further than the other Breedendam models as she has a flybridge and a multifunctional aft deck that can be used for both tender and toys, as well as a recreational area, as seen on modern explorer yachts these days. A lot of attention has been given to mixing exterior and interior together. The large main deck aft cockpit area can be easily closed off to be part of the salon. 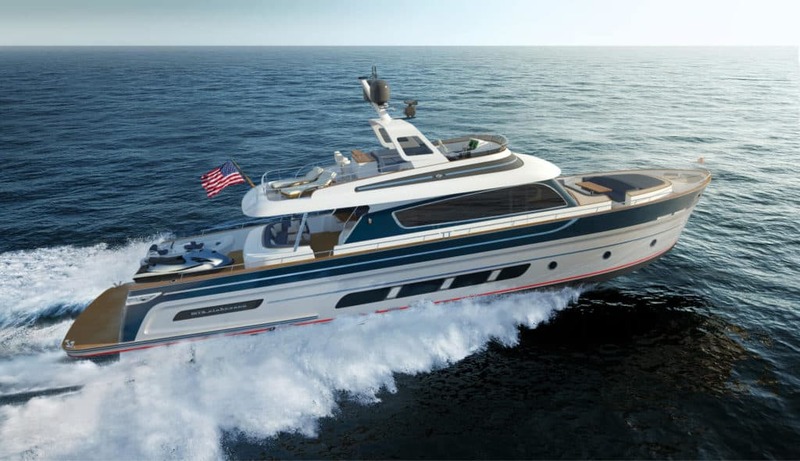 On the other hand by opening the aft door area, the salon inside can become part of the open aft deck cockpit area. 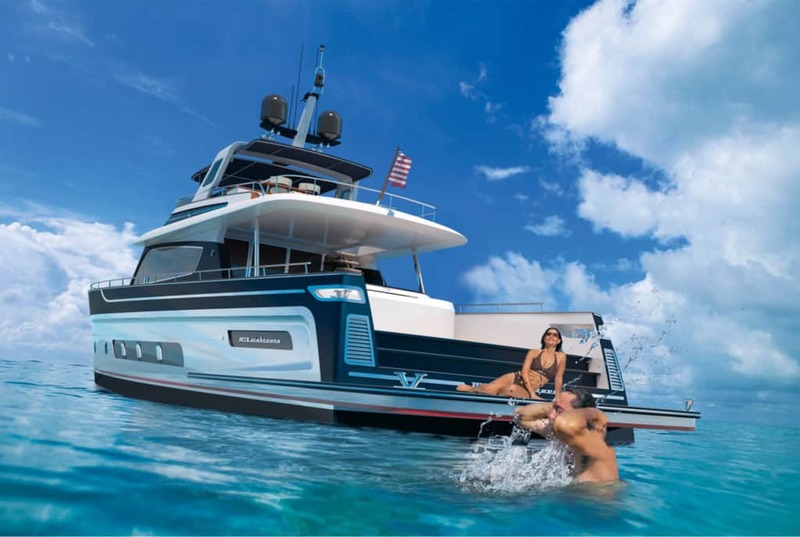 The yacht has been designed for those yacht owners who are looking for something fresh and new and yet timeless; not just a fashion statement like most new yachts nowadays. We are looking for iconic shapes that will set Breedendam apart from other yacht builders. 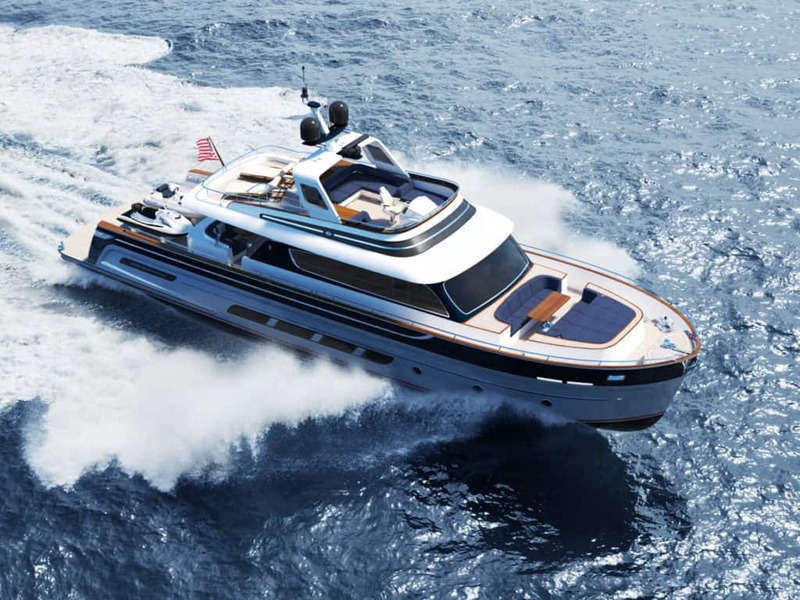 She is equipped with 3x Volvo Penta IPS-1200 engines.